For the last week, there has been uproar over AOL CEO Tim Armstrong’s remarks to employees regarding the timing and rationale for changing the company’s 401(k) match. Benefit changes can always be done in a way that respects the needs of employees and the company—but the way Armstrong communicated the move was a cautionary tale in what not to do. He violated these four key tenets that should guide all companies through benefits changes. Why do American employers act like helicopter parents when it comes to their employees’ health care? Editorial Director Kelley Butler explores this question in her January column on Workforce.com. We read the news so you don’t have to! Here are what we think are this week’s must-reads from the world of employee benefits. 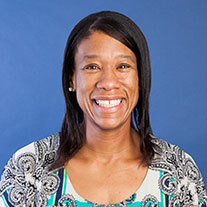 Kelley M. Butler, former editor-in-chief at EBN, is one of our new team members! We’re so excited to welcome her and others to the team this week. During her first few days with us, Kelley wrote up this post highlighting why she’s so thrilled to be on the Benz team. We’re hiring! And we’re looking for the most exceptional, most talented, most passionate people out there. Sound like you or someone you know? Please share this! Exciting announcement! We received a Silver Quill Excellence Award in IABC’s Pacific Plains Competition for our 2007 Intuit Benefits Campaign. I went to the South Bay Organizational Development Network’s monthly meeting last night in San Jose. The topic was Accessible Dashboards and Employee Recognition and the speaker, Lynn Hunsaker, talked quite a bit about how social media and new media tools are having an impact on employees’ expectations around their own performance evaluations—both in terms of process and communication mediums. Everyone who knows me knows that I am a huge huge fan of the Taproot Foundation. They exist to ensure that all nonprofits have the infrastructure they need to thrive—enabling them to support our communities. Taproot links professionals who volunteer their expertise with the small community-based nonprofits who need their services. I’ll be in San Jose at eBay Thursday and Friday for “Corporate Communications and the Social Media Revolution.” I’ll look forward to posting about the conference later this week!